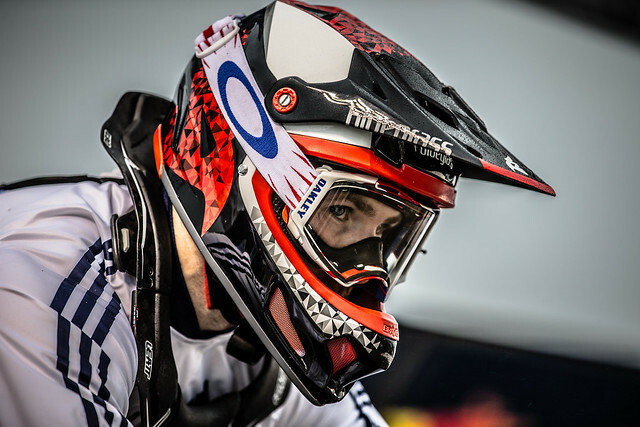 Britain’s Liam Phillips made history as he became the first man to win back-to-back UCI BMX Supercross World Cup titles in Rock Hill. The 26-year-old Great Britain Cycling Team rider was sixth on a rain swept evening of racing in South Carolina after unclipping from his pedal at the bottom of the start ramp in the final. Despite the disappointment the 2013 world champion secured 135 points, more than enough to successfully defend his title after an excellent campaign. He finished on 865 points, 130 points ahead of Dutch world champion Niek Kimmann. “Thanks to all my fans,” Phillips said. Phillips won three of the five rounds in the series - in Manchester, Angelholm and Santiago del Estero - his best-ever season in the competition. Kyle Evans reached the quarter-finals on his 22nd birthday before being narrowly knocked, finishing fifth with only the top four progressing. Two-time Olympic champion Maris Strombergs won the men’s race while London 2012 gold medallist Mariana Pajon won the women’s event to secure the overall title for the Colombian.